U.S. President Donald Trump has already made various attempts during his term of office to save the American coal industry from insignificance - but without success. Most recently, he said the government was considering subsidizing coal-fired power plants in the name of national security. Resistance, however, comes from the U.S. military. The current American government leaves no stone unturned to save the battered domestic coal industry. Latest idea: in the name of national security, coal-fired power plants are to be subsidized directly because they are essential for grid security. According to the acting government they are the only source of energy capable of withstanding a cyber attack or a natural disaster and continuing to generate electricity. Especially for military bases in increasingly uncertain times, this is indispensable support. The proposal actually comes at a time when the Defense Department is making it clear that it is increasingly dependent on electrical energy for critical national defence operations. Local military bases are connected to the civilian power grid, which is repeatedly shut down by more frequent and extreme weather events. In addition, there is an outdated infrastructure and increasingly frequent attacks on the power supply itself, for example through cyber attacks. In the past, Russian and Chinese hackers have succeeded in penetrating various power grids or power stations. Danger to the so-called 'critical infrastructure' is not an only U.S. phenomenon though. In Germany, for example, the government recently provided financial assistance to prevent China from taking over the German transmission grid operator 50Hertz. In response to the constant threat, the U.S. Defense Department and military have long since stated in their national defense strategy that the energy independence of military bases is an immensely important factor and have begun to develop various energy projects to ensure this even in crisis situations. In contrast to the president's idea, however, the military doesn't rely on coal but on locally generated, renewable electricity. This micro grids strategy is described in the recently published Association of Defense Communities (ADC) report. The report, entitled 'Beyond the Fence Line: Strengthening Military Capabilities Through Energy Resilience Partnerships', presents a number of exemplary projects with the military successfully relying on local power supply with the help of renewable energy. These energy projects often also benefit the population living in the vicinity of the base by making the surplus electricity available to the surrounding communities. 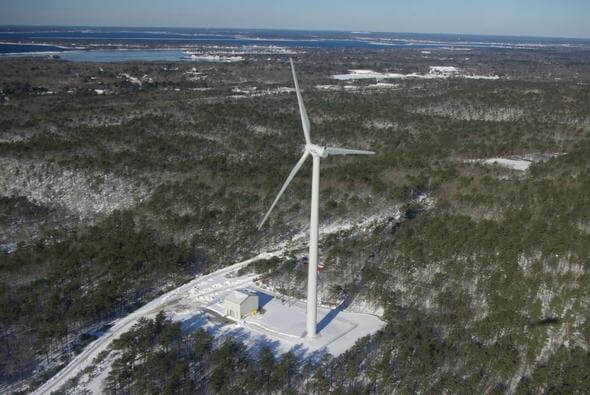 Otis Air National Guard base in Cape Cod, Massachusetts, has the military's first wind-powered micro-network. The facility including a wind turbine, diesel generator and battery storage, is able to power the base for up to 120 hours in case of power failure. The project was partially funded by the State of Massachusetts, which is committed to developing renewable energy on military bases. The Naval Construction Battalion Center in Gulfport, Mississippi, on the other hand, uses solar panels in combination with diesel generators and battery storage, as does the Marine Corps Air Station Miramar in San Diego, California. As Jeremy Deaton states in his Nexus Media article, the U.S. military is at the forefront of the transition to renewable energy in many ways. U.S. foreign troops have long used solar energy and batteries to reduce their dependence on oil and gas, save money, and protect themselves from attack. Fuel convoys are frequent targets for road bombs, and diesel generators can also be a burden in a siege. 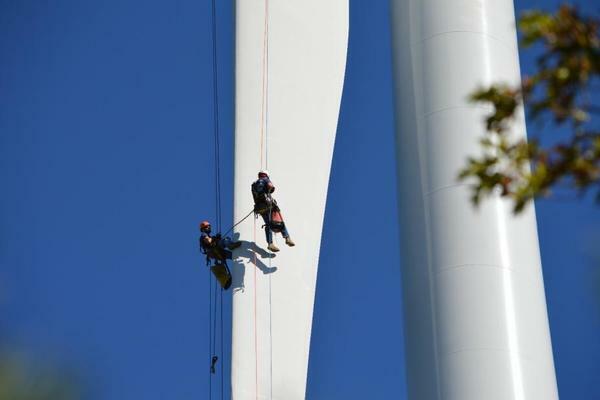 In addition, the renewable energy industry in the U.S. is increasingly establishing itself as an employer for veterans. The report encourages more states and cities to work on such projects with military bases. “The partnership models highlighted in this report are powering military missions and can be scaled to benefit surrounding communities and economies,” says Wilson Rickerson, one of the report's authors. Micro grids for clean energy can create jobs and help limit pollution. At least the latter is certainly not possible with coal-fired power plants.